Please read carefully and accept our terms and conditions before booking by clicking on the button below. Astrofarm is, first and foremost, a residential astronomy centre. We do not have a swimming pool, hot tub or satellite TV, but we do have extensive resources in our library, Wifi in the Hub, lovely gardens with seating areas, shaded veranda with seating and table and a built-in barbecue for everyone to enjoy! Astrofarm is the home of Andrew and Sue Davies (and pets) and we endeavour to make your stay as comfortable and enjoyable as possible. We ask that you respect our privacy and the enjoyment of other guests who may be staying. We are a child free, quiet site especially set up for astronomers to use our facilities throughout the day and night. We are a sociable community with up to 10 guests on site each day and want all our guests to enjoy their stay. The Dortoir accommodation and two wet-rooms may at times be shared by male and female guests. There are privacy curtains on each bed, an additional private changing area and when possible, female guests will be booked into the side section of the dormitory. Should you prefer complete privacy or if you are booking as a couple, please book the separate double B&B bedroom with private shower room or the self-catering rooms in the Gite. We do have a variety of animals on the farm and whilst they are not allowed in guest areas, we cannot guarantee completely allergen free rooms. Because of our livestock, we are unable to accept guest’s pets on site. 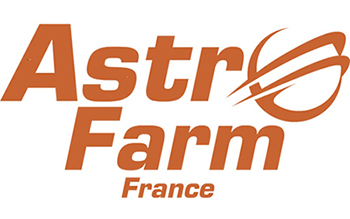 Astrofarm is situated on the edge of Confolens, a small rural town in South West France. There is plenty to do locally if you enjoy a quiet, relaxing holiday walking and exploring. Please note that rural France does not have a buzzing nightlife, shops open 24/7 or streets of pavement cafes and restaurants. Life ambles along at a slow, gentle pace - that's why we love it! Shops are not open on a Sunday and many places also close on a Monday. If you are arriving on a Sunday please do let us know in advance if you need anything from the supermarket for your first night. Astrofarm is not for you if you are looking for clubs, restaurants, shops and laid on activities and that's why we have provided everything you need here at the centre! On a practical note there is NO public transport system in rural France. We do run a minibus shuttle to town (2k) during the day, by arrangement and will arrange trips to local areas of interest. If you would like to explore further afield then we recommend hiring a car from the airport - especially if you are staying for more than 3 nights. We are able to offer airport transfers to and from Limoges airport for SOME flights (carrier timetables have changed so flights are now spread throughout the day from 8.00 am to 8.00 pm). We are only able to carry 8 people at one time and will only be doing one 2 hour airport round trip per day. This offer is only available for bookings of 3 nights or more and your pickup & drop off must be agreed at the time of booking accommodation BEFORE you book your flights. Smoking is strictly forbidden in all Astrofarm accommodation. Due to dry climate and risk of fire, legislation demands that smoking is not allowed in the gardens, the observatory or around the site. Smoking is permitted in the designated smoking area only using sand for the safe disposal of cigarettes. We cannot guarantee the weather or cloud-free skies. However, we do provide additional activities in the Hub in the event of poor weather, when observation is not possible. The use of the astronomy centre is included in your accommodation price and we do not provide refunds on the rare occasion that guests are unable to enjoy our skies. The astronomy centre, resources and equipment are available for all those who are staying in our accommodation. We want everyone to enjoy the facilities and must ask that you respect the value of the equipment on site. We cannot book the observatory or specific kit out to any one person for exclusive use during their stay. We will make sure, wherever possible, that everyone has a chance to use the equipment and resources that they choose (weather permitting). Whilst we are happy for you to enjoy the social side of Astrofarm, the astronomy centre will not admit anyone who has been drinking alcohol (other than a glass of wine with dinner). You may order an evening meal on a daily basis during your stay and pay for meals taken at the end of your stay. We will be providing one choice each day and we are able to provide a vegetarian option. However, due to local legislation, we are unable to cater for special diets or alternative menus. Whilst we offer a glass of wine with the evening meal, we are unable to sell alcohol and you are welcome to buy drinks from the local supermarket. The kitchen facilities are available for you to store and cook your own food should you prefer and we will be doing a run to town each day should you wish to shop and cook for yourselves. Please note: The astronomy centre will not admit anyone who has been drinking alcohol (other than a glass of wine with dinner). We do not allow parties, excessive drinking and loud music and have a strict 'quiet' policy after midnight around the whole site. Due to demand and limited bed availability, we require a 50% non-refundable payment for B&B accommodation at the time of booking. In the event of unavoidable cancellation, we are happy to offer vouchers for the full amount paid, allowing you to book a future date (dependent on bed availability). We cannot refund any payments should weather conditions prevent observing or photography. We will only cancel your booking if your accommodation becomes unavailable for reasons beyond our control. We will offer you alternative accommodation, however, if this is unacceptable to you, then we will refund all monies paid by you. Our liability does not extend beyond this refund. We reserve the right to terminate your stay immediately without being liable for any refund or compensation if you engage in unacceptable behaviour that causes a disturbance or nuisance to other guests. Other than for death or personal injury caused by our negligence or misrepresentation, our total liability to you is limited to the price of the booking and to the fullest extent permitted by law all warranties are excluded and in no circumstances will we be responsible for any indirect or special damages. We will not be liable for failure to provide advertised accommodation, resources or facilities if caused by any factor beyond our reasonable control or act of nature. We do not accept any liability for any damage, loss or injury to any vehicles or possessions unless proven to be caused by a negligent act by ourselves or our employees or contractors whilst acting in the course of employment.